Today is our last post of our Advents Calendar, we hope you enjoyed it. 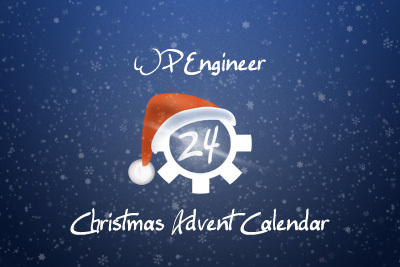 WP Engineer wishes a Merry Christmas to our readers! WordPress has an API that is explicitly designed for time-controlled storage of data - the Transient API. This API is designed to cache any data in the database and very simple to use it. The Feed-Cache of WordPress is in the database, it's in the table options and sometimes you like to delete it. With a little SQL this is done quite quickly - but be careful, there is no way back! Within WordPress I do it with the help of the Plugin Adminer, which allows a complete mySQL access and you are still able to work in the backend of WordPress. Alternatively it's also possible with phpMyAdmin for example.